You & Your Parishioners Deserve a Change! Whether it’s Time Magazine, Sports Illustrated, or US News & World Report, each of these weekly publications uses its cover to the fullest extent. They know the cover is what really captures the reader’s attention. At Pilot Bulletins we want to help you put a new face on your weekly publication. The bulletin is still the #1 communication tool used by Catholic parishes to share information and formational materials with parishioners. The flexibility we offer will have parishioners looking forward to each week’s edition. With Pilot Bulletins, you have the flexibility to feature the Good News of the Gospel or front page parish news, like a First Communion or Confirmation Class. The possibilities are endless! Expanded pages, allowing for more content, more graphics, and larger, more legible type. Computer software for one-step bulletin transmittal and printing. But that’s not all! We are very pleased also to offer the following services at no additional cost. 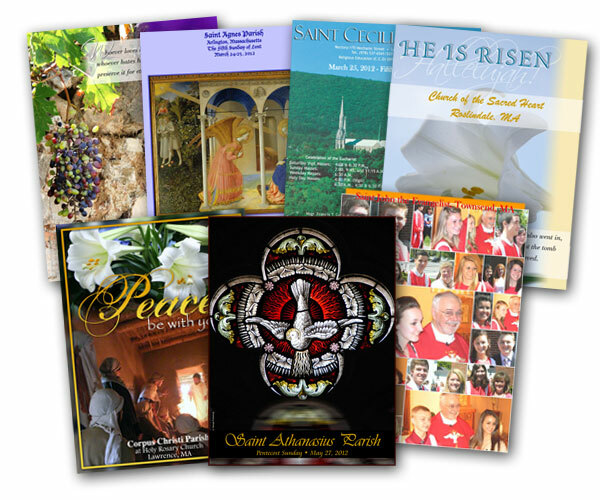 A selection of full digital color bulletin covers, featuring images and Scripture passages specific to each week’s Psalm and Gospel readings. 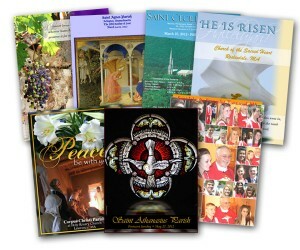 Religious & Parish activity clip art. Sunday Funday weekly children’s section including faith-based games & activities. Scott Hahn’s weekly Scripture reflections. Informative Q&A columns for teens & adults. News articles & columns from The Boston Pilot.